Hey there book clubbers! Sorry again for the delay! I hope everyone was able to get through this book and is ready to talk about it...or at the very least, has seen the movie. Ha - just kidding! You should always read the book before the movie. I remember a time when this was an easier thing to do, but now a days, it feels like every movie is based on a book. Anyway, I digress. Miss Peregrine's Home for Peculiar Children (which from here on out will be referred to as Miss Peregrine's), has been sitting on my bookshelves for years. Five years to be exact. I remember purchasing it when I was working at a bookstore and it was just released. I was intrigued by the cover and the eeriness of it. Of course, as is the fate of many books that come home with me, it sat there on my shelves, unread. So I was pleased it was picked for book club as it meant I was finally going to read it...and just in time to see the movie! Which I think looks really good. 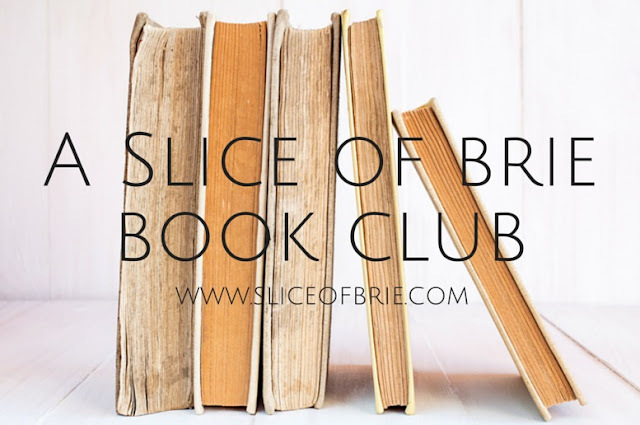 Also - if you aren't here to discuss Miss Peregrine's, but would like to participate in the next book club, then be sure to jump to the end of this post to vote on the book you'd like to read for November/December! 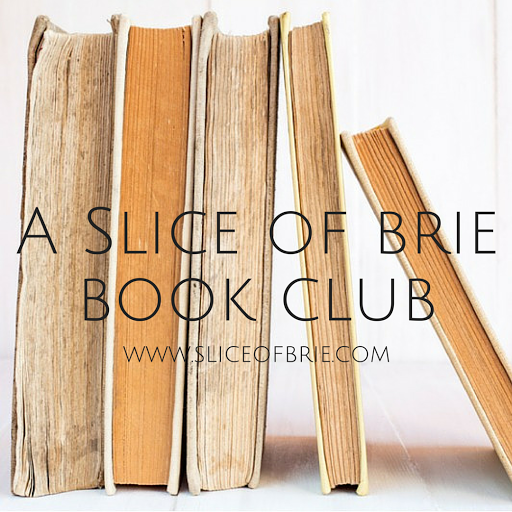 If you're new to A Slice of Brie Book Club, in a nutshell, it's an online book club for fellow book lovers. A place to talk about a chosen book from the comfort of your own home/computer! Everyone is welcome (so tell your friends! ), and you definitely do not have to have a blog to participate. Every month, we vote on which book to read for the following month. The poll will stay open until Monday night and I will announce the book next Wednesday. No commitment to join, but if you've ever wanted to join a book club, this is a great place to start! Before I get into what I thought about the book, here's a quick summary of it: 16-year old Jacob finds himself traveling to a small island off the coast of Wales, with his father, after the traumatic death of his grandfather. Jacob's grandfather lived a pretty secret life, and while he tried to share things with Jacob, it was all too unbelievable and Jacob assumed it was all just "stories". 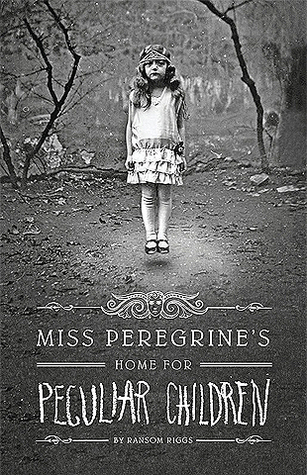 But the clues his grandfather left behind, had Jacob wondering the impossible, and so he travels to the island to find out the truth and is led to the crumbling ruins of Miss Peregrine's Home for Peculiar Children. I will admit, I haven't been looking forward to writing about this book. Fantasy isn't really my genre of choice, and while I can enjoy it, I find it difficult to talk about. This book was well written, and my favourite part about it was the physical beauty of the book itself - from the thickness of the pages, to the inclusion of the (real) vintage photographs, to the pretty pages dedicated to each chapter - it's really a work of art. That being said, I wasn't completely enthralled with the story. Some bits I was confused (like trying to wrap my head around how all the time-loops worked), and who the hallowgasts were and their role. Again, fantasy and my brain don't always mix well together, haha. I wasn't sure how I felt about the romance developing between Jacob and Emma either...it seemed a little wrong, given both her actual age and the fact that she still seemed to be in love with Jacob's grandfather. I just don't think it was really necessary. Unless the author thought there needed to be a love interest in order to make it seem believable that Jacob would stay behind? Who knows...even Jacob as a character was pretty flat for me. There wasn't really anything likeable about him or had me "rooting" for him, or hoping for one ending over another. I felt pretty "meh" the whole time I was reading this. I definitely think I expected this to be a creepier read. The setting is right, the endorsements on the book lead you to believe so, and the pictures should add an eerie element. But, it's not. There wasn't one part where I felt creeped out, or on the edge of my seat. Which is fine, but I think the cover and synopsis are misleading. And the ending? I have a big pet peeve when it comes to cliff-hangers in a series. Thankfully, this wasn't a huge one, but it's obvious that it was written with the intent for their to be another book (or two in this case). I'm undecided if I will finish the series off....part of me always wants to know what happens, but I also wasn't invested enough in this book to want to run out and read the next one. I'm also not even sure I fully understand what happened at the end of this book, or where these kids are hoping to row out to. That's right - row! How far can you get in the ocean in row boats?! With no food, water, shelter or supplies, not to mention "a silent procession of battleships punctuated the horizon"! Ya, a weak ending in my opinion. Overall, I didn't hate the book, but I didn't love it. I might just not be the right audience. Or maybe I just went in with the wrong expectations? Like I said above, it's well written and I didn't have any issues with that, I just wasn't as sucked into the story as I was hoping I would be! Tell me what you thought of the book: did you like it, love it, hate it? Do you usually enjoy fantasy books? Were you expecting the book to be more creepy? How did you feel about the romance developing between Jacob and Emma? So there's only going to be one more book club for the rest of the year. Seeing as how we are already getting into November, and since December is historically a busy month for almost everyone, it makes sense to only do one more. That being said, I want to read something light, fun and a bit romantic to finish the year off! 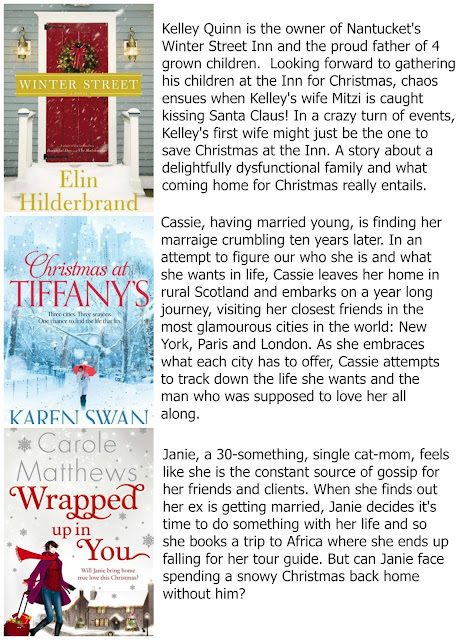 So I've picked three Christmas themed chick-lit fiction books to choose from. Cast your vote and I will announce the last book club book of 2016 next Wednesday!